These are ridiculously good and I can’t take credit for the idea. 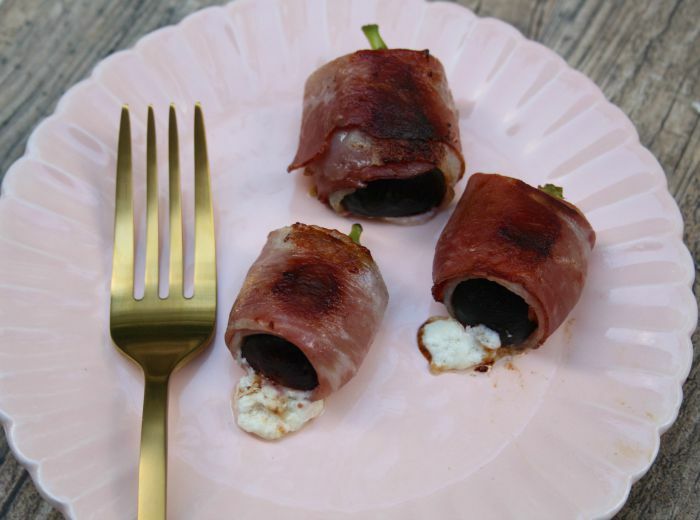 We were entertaining friends for dinner and I was grilling figs and drizzling them with honey for our appetizer and I said out loud, “These would be good with goat cheese.” And my girlfriend one upped it and said “Yes, but goat cheese wrapped with prosciutto.” Now you’re talking sister. It was so easy and delicious and I can’t wait to make them again when we have our next party. 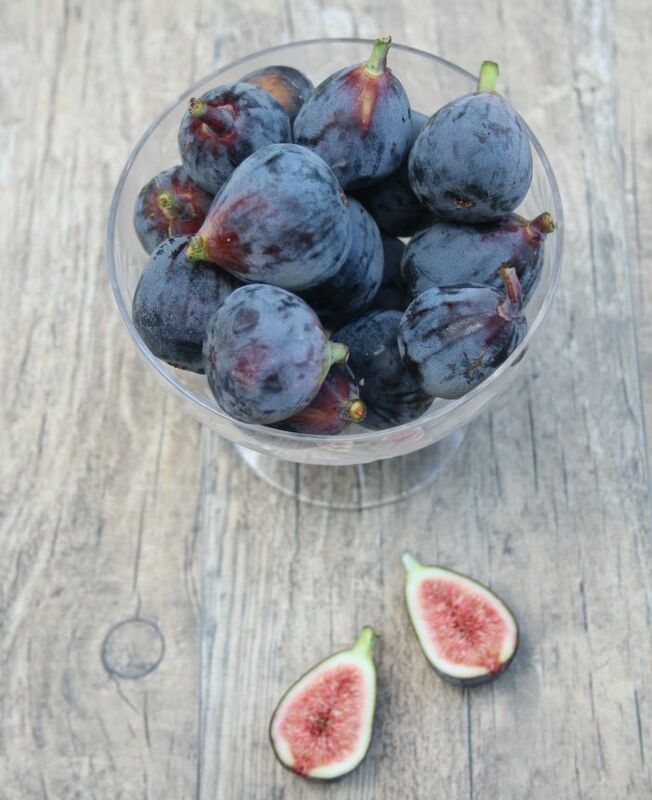 Figs are such an elegant and beautiful fruit, I love that they have been around for thousands of years and are still highly coveted. 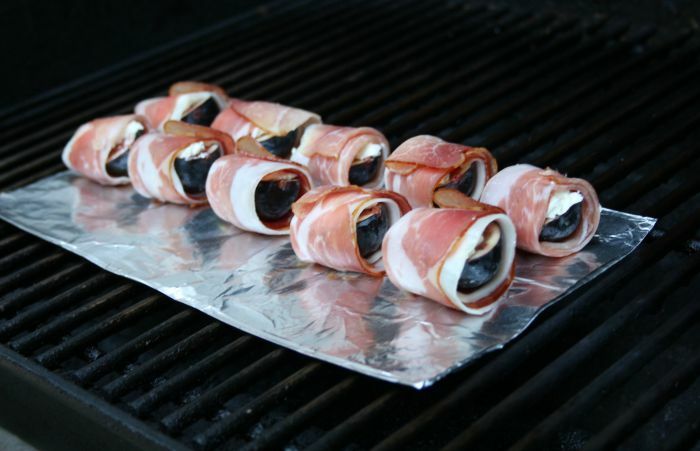 To prepare, I gently washed the figs and sliced them lengthwise. 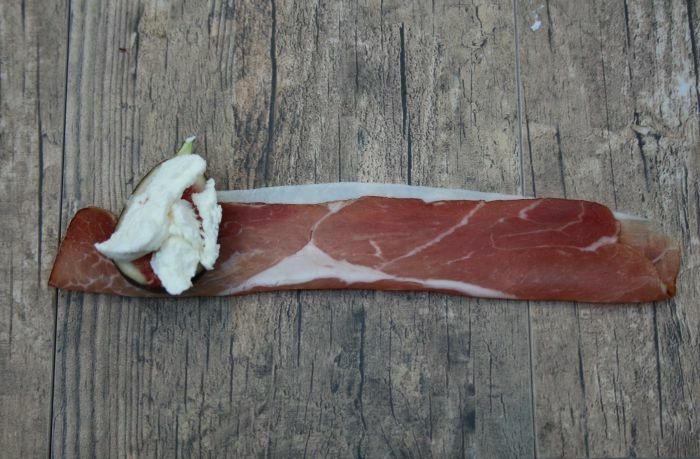 I used a log of soft goat cheese and mildly smoked prosciutto because I knew that grilling it would bring out the slightly smoky flavor. 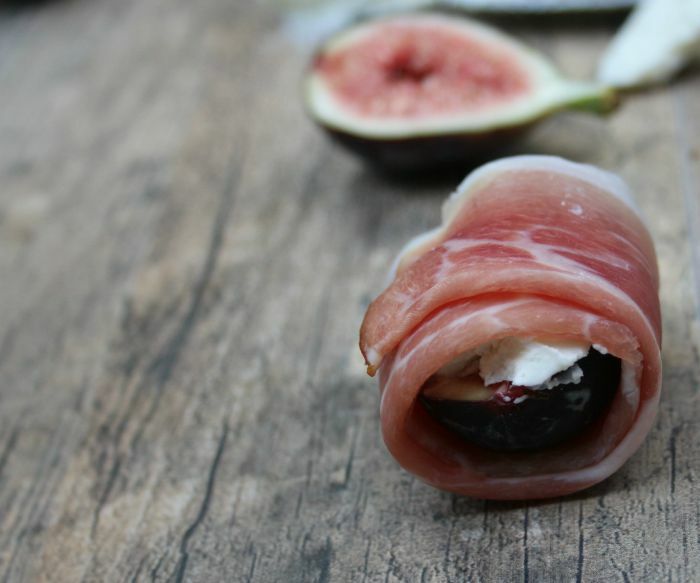 I put a dollop of goat cheese on each fig half and wrapped it in prosciutto. 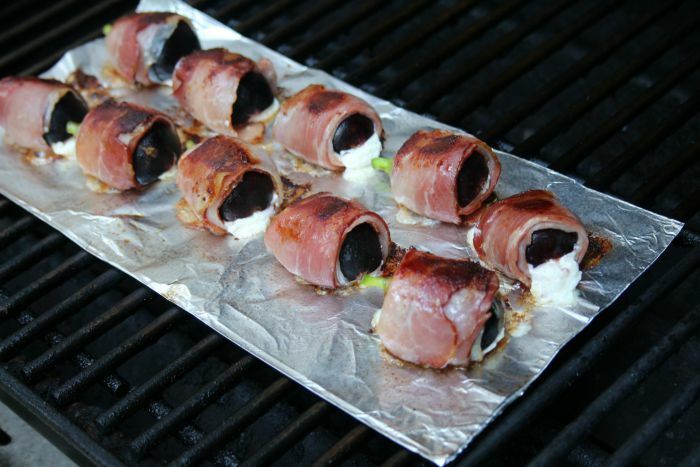 I grilled them on some tin foil in a very hot grill (400 degrees) for 10 minutes each side. 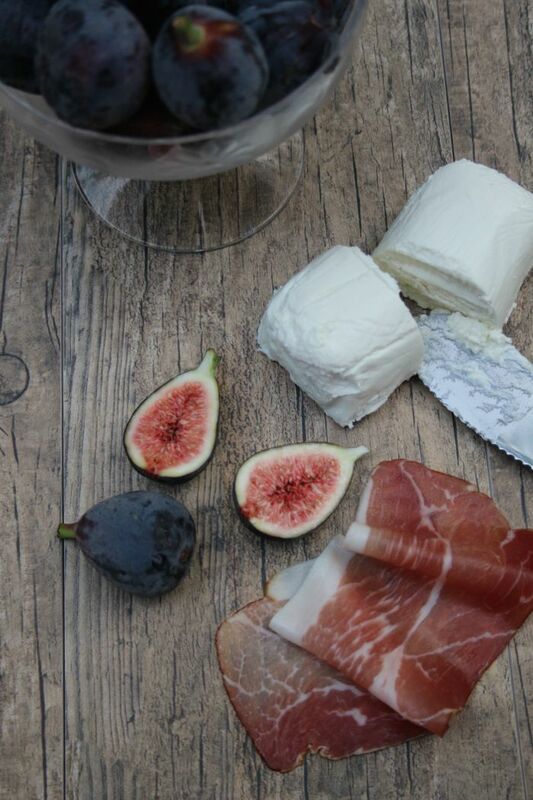 When it was done, the prosciutto was crispy and the salt was nicely balanced by the creamy melted cheese all on a soft grilled fig that was bursting with sweet. The perfect bite.